Lead Us Not Into Clericalism – Daniel P. Horan, OFM | ADULT CATECHESIS & CHRISTIAN RELIGIOUS LITERACY IN THE ROMAN CATHOLIC TRADITION: hosting ONLY True Christians!! !, or "How to think Catholic!!" “Next month I turn 30. 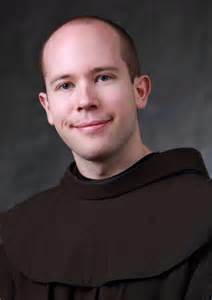 While that might seem like an old age to me as I approach the milestone, most people are quick to remind me of how young a friar and priest I still am. That statement of fact is often, but not always, accompanied by some well-meaning remark by a parishioner after Mass or an audience member after a talk suggesting that I’m not like other “young priests” they know. What generally follows that sort of comment is an expression of concern about the perceived unapproachable or pretentious character of so many of the newly ordained. They appear to be more concerned about titles, clerical attire, fancy vestments, distance between themselves and their parishioners, and they focus more on what makes them distinctive than on their vocation to wash the feet of others (Jn 13:14–17), to lead with humility and to show the compassionate face of God to all. What concerns people, in other words, is clericalism. What I hear in these moments is not so much a compliment or praise for me as the worry people have for the future of ministry. As St. Francis cautioned his brothers, I realize that anything good that comes from my encounters in ministry is God’s work, and the only things I can truly take “credit” for are my weaknesses and sinfulness (Admonition V). And, trust me, there are plenty of both in my own life. At the heart of this encounter is the intuitive recognition that we are all sinners, yet we all have equal dignity as the baptized, and that those ordained to the ministerial priesthood should serve their sisters and brothers on our journey of faith. While I know many good and humble religious and diocesan priests, I’ve encountered far too many clergy who, for whatever reason, feel they are above, better or more special than others. Pope Francis also recognizes this and spoke critically about it in the impromptu interview he gave during his return trip from World Youth Day. Pope Francis names this the culture of clericalism, which maims and distorts the body of Christ, wounding those who seek God’s mercy but instead encounter human self-centeredness. St. Francis of Assisi is often remembered for having had a special reverence for priests, a characteristic that appears frequently in his writings. But he also had a particular vision for how the brothers in his community, ordained or not, would live in the world. His instruction seems as timely as ever in light of the persistence of clericalism. Blessed is the servant who does not consider himself any better when he is praised and exalted by people than when he is considered worthless, simple, and looked down upon, for what a person is before God, that he is and no more. Woe to that religious who has been placed in a high position by others and [who] does not want to come down by his own will. Blessed is that servant who is not placed in a high position by his own will and always desired to be under the feet of others. All members of the clergy, not just Franciscans, should be challenged by these words.